Bread. Bread. Bread. Slowly, surely, steadily, but not quite entirely, I am becoming a much better baker. It has just taken some patience and confidence. And much help from the husband, who is quite a good baker. Mostly because he has patience and confidence. It took a long time for me to figure out just the right temperature of the liquid (water usually, but milk in this case) not to scald the yeast and yet allow the yeast enough heat to "wake up" (that temperature is body temperature, it turns out). 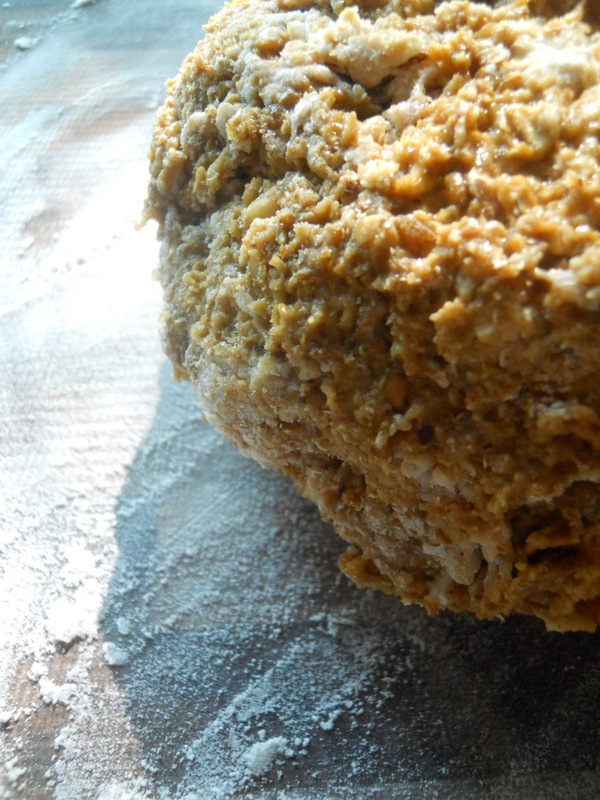 It took a long time for me to figure out just how much kneading was needed to break down the bonds in a bread (more than you think, but less than would break a sweat). It took a long time to be confident that the bread had risen enough (yep, that much right there is enough). But here I am, baking bread. Now, Good Earth bread is not for everyone. It is heavy in, well, earnestness. Good Earth was/is a restaurant chain that found its glory days in the 1970s, when wheat germ was all the rage. 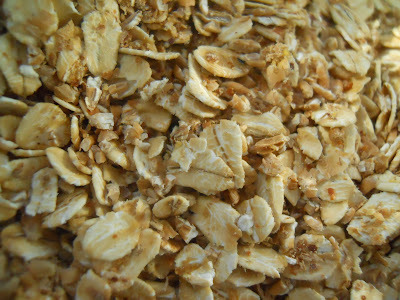 Add to the wheat germ some rolled oats, cracked wheat, and whole wheat flour, and you have yourself some very, very wholesome bread. Luckily such sincere bread is all the rage again. Good Earth the restaurant may have come from the grocery store that heralds from dear old Fairfax, California. This grocery store has been open since 1969 and has been committed to organic, local foods since its inception. Yes, a full nine years before Whole Foods began doing the same thing. The restaurant and grocery store are part of the "silent revolution of the American palate"--as Evan Jones suggests--that happened in the 60s and 70s, and we're still reaping the benefits. 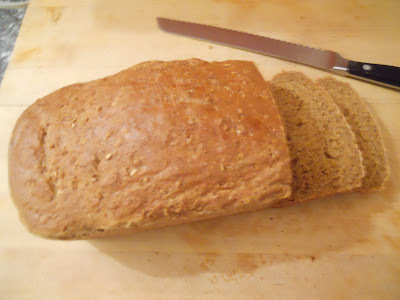 Nowadays, we have expanded our wholesome palates beyond just a pot full of groats with mushrooms, and this bread is a testament to the joys of healthy and hearty cooking. All this said, however, I can find very little about the Good Earth restaurants online. Good Earth is also the original makers of Good Earth Tea, a sweet, spicy, rich tea (made with cinnamon, jasmine, peppermint, chamomile, ginger, orange peel and MORE) that I love. This cookbook also comes from the 1970s. It's a great little book, as its subtitle promises to explore "what we've cooked, how we've cooked it, and the ways we've eaten in America through the centuries." 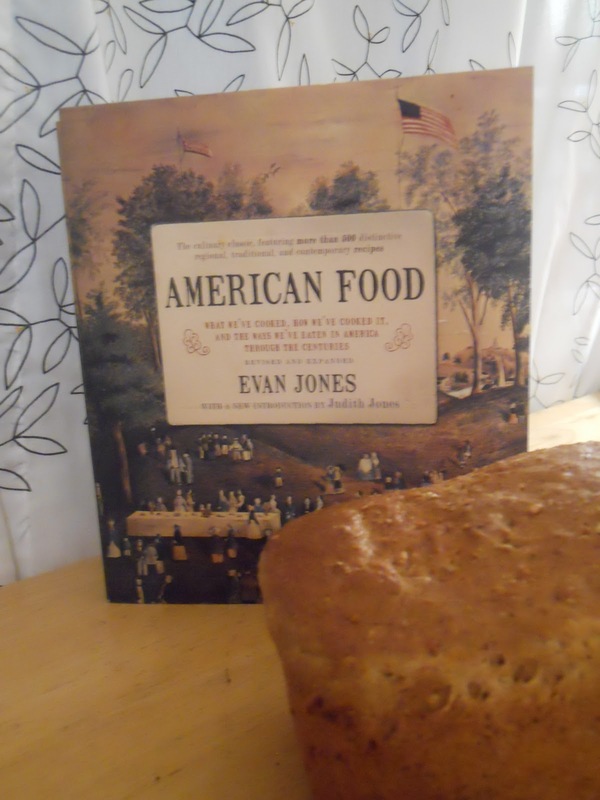 In fact, we're lucky to even have a recipe on page 210, as the first nine chapters (and 184 pages) walk you through the culinary history of America. This is a cookbook that takes American gastronomy quite seriously. 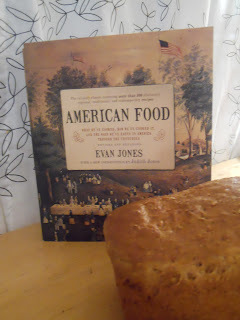 The cookbook's author, the late Evan Jones, was married to Judith Jones, who "found Anne Frank's Diary of a Young Girl and pushed it toward publication" (see here). A senior editor at Knopf who polished the work of Claudia Roden, Jacques Pepin, and Madhur Jaffey, she is most well known for taking Julia Child's manuscript Mastering the Art of French Cooking under her wing. No slouch, she has worked to publish all of John Updike's works, as well as translations of Camus and Sartre (where she got her start as an editor at Knopf in 1957). 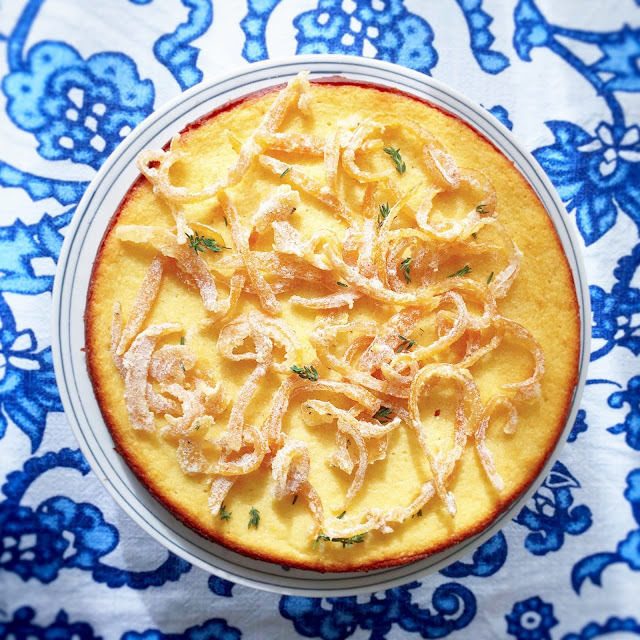 Her blog is lovely, and the title comes from her maneuvering the world of cooking for one after the loss of her husband in 1996 and rediscovering the joys of pleasing only the self. Given all of her accomplishments, maybe when I am all grown up I can be Judith Jones. Anyhow, this bread smells amazing, as most breads do, as it cooks. While it's fall for most people across the country, it's not quite fall here in Northern California yet--well, technically it is in that we have our hot weather and we're all aching for the rain. But this bread makes you feel homey, ready for a rainy day. (On a side note, if you need a beautiful story about bread, may I recommend "A Small, Good Thing" by Raymond Carver. Breathtaking.) I ate it for dessert this evening--half a slice with butter and a little salt and another half with cherry jam on it. 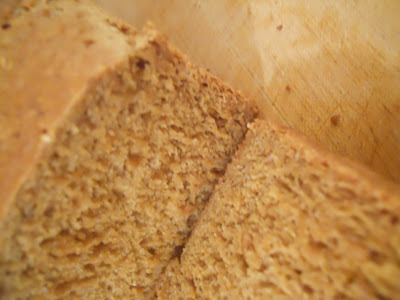 I am not a huge fan of heavy breads for sandwiches, but I love them toasted and spread with something savory or sweet. This week is going to be one of very good and very sincere breakfasts of toast and jam. Happy fall! 1. 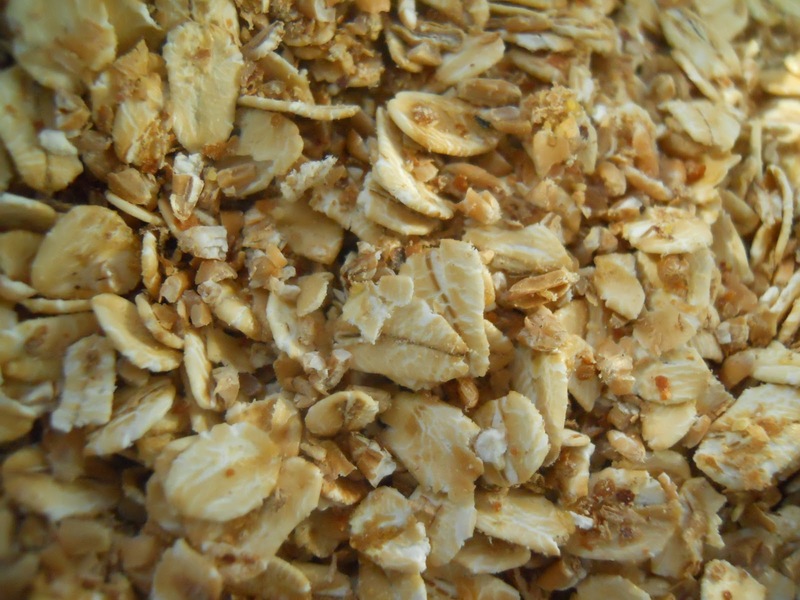 Pour boiling water over rolled oats, cracked wheat and wheat germ. 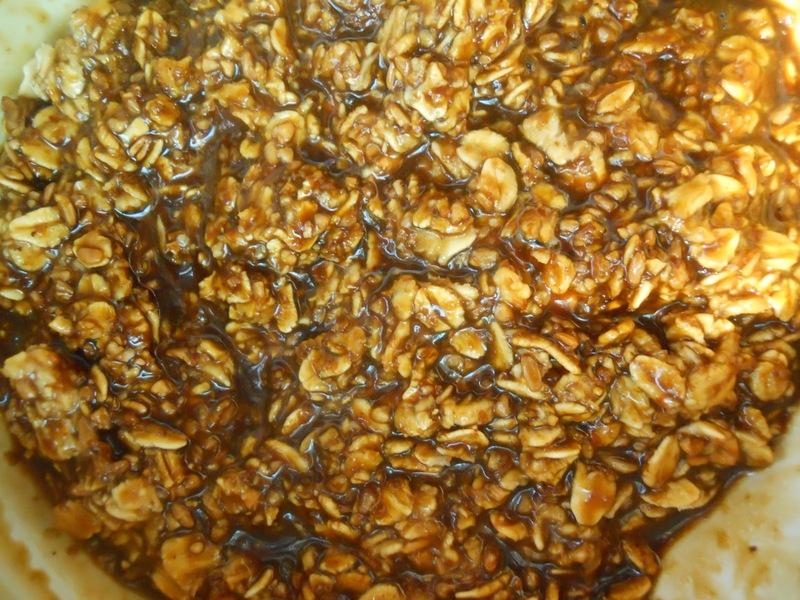 Add molasses, butter, and salt; mix well, let cool to body temperature. 2. 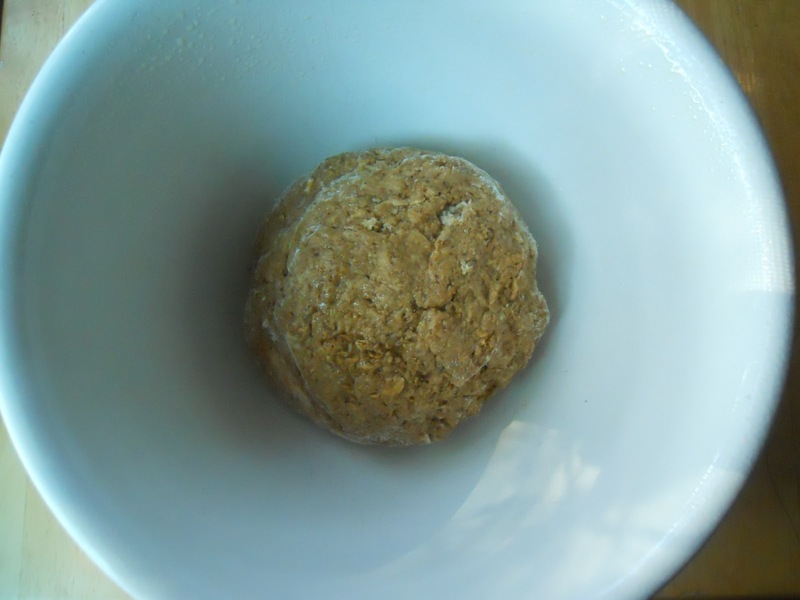 Meanwhile, dissolve yeast in milk, add sugar, and let stand until mixture swells. 3. Add whole wheat flour and 1 cup unbleached flour to yeast mixture. 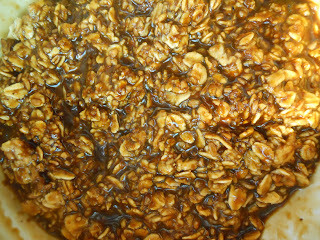 Then add steeped oats and mix well. 4. 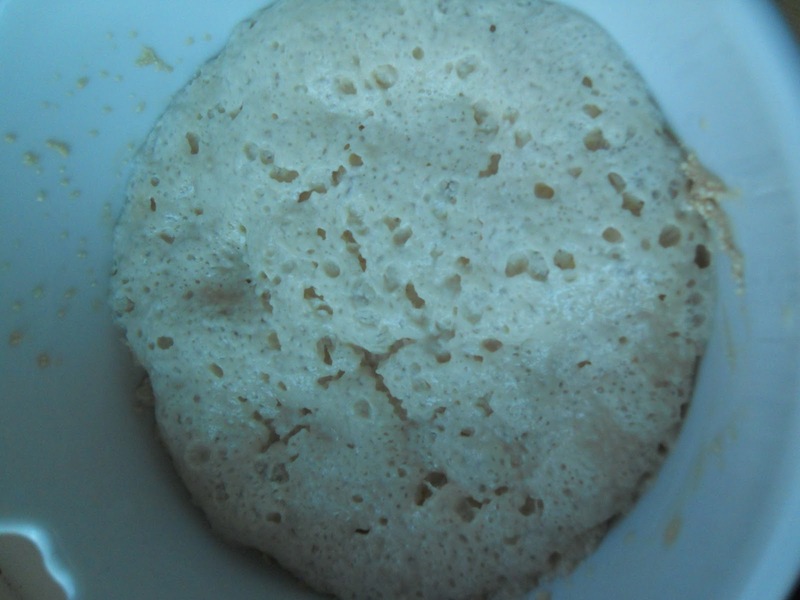 Turn out on a floured surface. 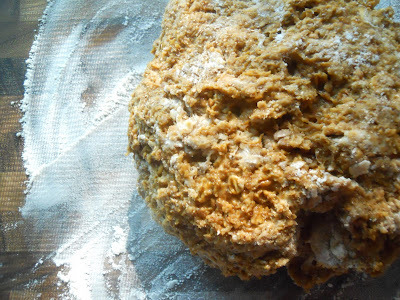 Let rest for a few minutes, then start kneading, adding some of the rest of the flour to achieve a firm, pliable consistency; it will be sticky don't do much kneading at this time. 5. 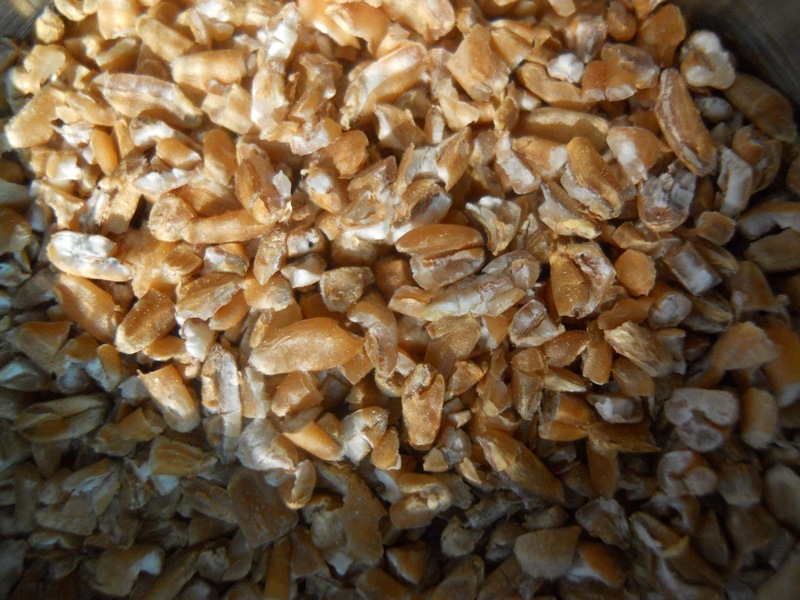 Place in a well-buttered bowl and turn to coat with butter all over; cover with a cloth and let rise in a warm place until doubled in bulk. Punch down, turn out onto a floured surface, and knead well this time--for 8 to 10 minutes--adding more flour as necessary. 6. 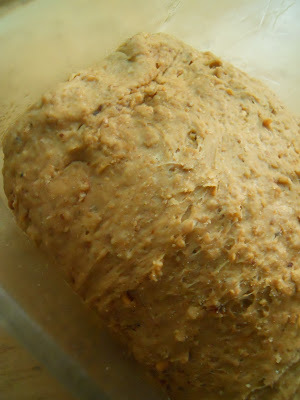 Divide into half and form 2 loaves; place in buttered (9x5x3) loaf pans; dough should fill pans about two-thirds full. Let rise again until almost doubled; dough should swell over tops of pans. 8. Brush dough with wash of egg white mixed with water. 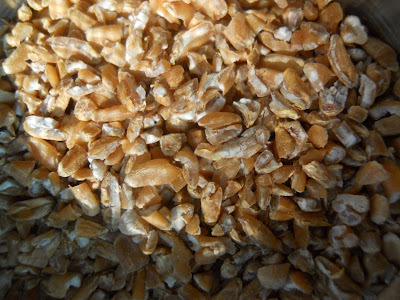 Bake for 15 minutes, then reduce heat to 350 degrees and continue baking for 30 to 40 minutes, or until bread sounds hollow when tapped. Remove loaves from pans and return them to oven. Turn off heat and let bread cool in oven.